Struggling to conceive may take its toll in a number of ways – emotionally, mentally, and financially. To help patients on their fertility journey Bourn Hall offers free counselling and a patient support group. 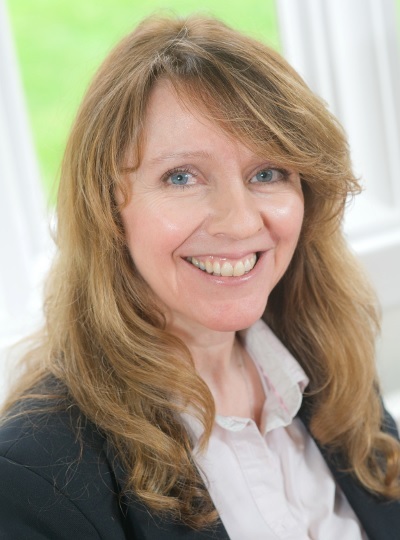 We talked to Jackie Stewart, an independent fertility counsellor who works with Bourn Hall, about the type of support offered and why she finds this important role so rewarding. Q How did you come to work for Bourn Hall as an independent fertility counsellor? I had experienced infertility myself, so in many ways it was my own personal history of infertility that made me feel drawn to the role and passionate about supporting others. I had IVF treatment for 10 years and during this time I began to train as a counsellor. I found the counselling I had as part of that training helped me a great deal. I remember thinking that I would like to work in fertility counselling one day, especially given my personal insight. Later I learned of an opportunity at Bourn Hall and was lucky enough to be able to come and work here. In 2014, I became an accredited member of the British Infertility Counselling Association (BICA). Q What are the different types of counselling that you offer? I offer counselling to patients before, during and after treatment and this can involve anything from being concerned about starting treatment, to secondary infertility, or the need to make a decision about stopping treatment, or using donated sperm or eggs. Importantly, the service is open to anyone as a confidential space where patients can share their thoughts and feelings – whether they would like to attend individually or as a couple. I offer implications counselling, support counselling and therapeutic counselling. Implications counselling is available for Bourn Hall patients throughout their treatment, this involves talking through difficult decisions or any complexities of proposed treatment. This offers patients the opportunity to explore the implications and to reflect on the short and long term outcomes for themselves and their families. This includes the effects on any existing children and any child born as a result of treatment. It is strongly recommended for anyone facing complex decisions regarding donor conception, surrogacy and/or fertility preservation. This could be a sense of loss that they can’t use their own eggs or sperm, and to discuss whether they are ready to move onto donor assisted conception or perhaps using a surrogate. This kind of counselling can be very helpful for patients considering different treatment options and also for thinking about the future. For example, patients can explore whether they should tell their child about the donor and how and when it is best to tell a child. In implications counselling, patients are able to talk through so many facets of their treatment and receive helpful resources and information. Support counselling is about supporting patients’ feelings through treatment. It is about how the treatment impacts patients’ lives, their relationships, finances and how they are coping. It is about offering a confidential space to talk about all of these personal aspects and potential impacts. Therapeutic counselling is ‘deeper’ than support counselling and offers a space to talk about choices that patients may have made in the past and how they are affecting them now. The effects the current fertility difficulties have in the context of the patient’s life and experience and to help people try to adjust and accommodate their individual fertility situation. I think the IVF experience can be likened to a grieving process because there is often a feeling of loss involved. We work through the possible grieving process that may be going on underneath and perhaps difficult times or aspects of depression that this might have involved. Every patient is individual. I also facilitate the patient support group with the help of Sharon, a Senior Patient Administrator at Bourn Hall, and this offers people a good way of sharing experiences and getting together. People may be at different stages of treatment, or having different types of treatment, but, ultimately, they have one thing in common, which is that they are struggling to have a much wanted baby. Meeting others can help patients to feel less alone or isolated. The group is not necessarily suited to everyone and people may not want to get involved, but other people who come along offer support to each other, and have the opportunity to hear from expert guest speakers which can be really helpful. We often have feedback to say that people have got in touch through the group and, years later, are still in touch. Lots of good has come out of it. Q Can you describe some of the things that you do on a daily basis? Client appointments are so varied. You can go from seeing someone who is completely new to treatment to someone who has had three failed treatments or a patient who has just had a miscarriage. Throughout my day, I offer a number of counselling sessions via phone, Skype or meeting in person at the clinic. Logistically face-to-face isn’t always possible, but there are some patients who always prefer to meet in person. This is about what suits the patient and being able to meet their preferred choice. From one appointment to the next, things may change so I ensure that I have relevant handouts or helpful information, some of which are provided by Bourn Hall. Patients will often contact me directly, so part of my day is spent replying to correspondence and booking future appointments. Another part of my day is noting the kind of appointments I have had, which is useful for self-evaluation, inspection and audit purposes in line with HFEA and BICA counselling guidelines and codes of practices. This is how the service I provide is monitored. Q What is the best part of your work? I feel that just being able to help patients feel a little bit more empowered is the best part of my work. I love getting involved in the support group, each and every meeting that I attend offers something special. Q If you had a friend interested in working for Bourn Hall as an independent fertility counsellor, what would you tell him or her? It is a privilege to work with Bourn Hall. I would explain that there is a lot involved in my role, all the training needed, but I would be very encouraging of anyone to try and get the opportunity to work here. It is a lovely place to work because the staff are so friendly, supportive and inclusive, and the clinic is set in the grounds of a beautiful stately home. See more information about the counselling and support we offer here. If you are interested in working at Bourn Hall as an independent fertility counsellor, get in touch or take a look at our current vacancies. Post by Jackie on secondary infertility.